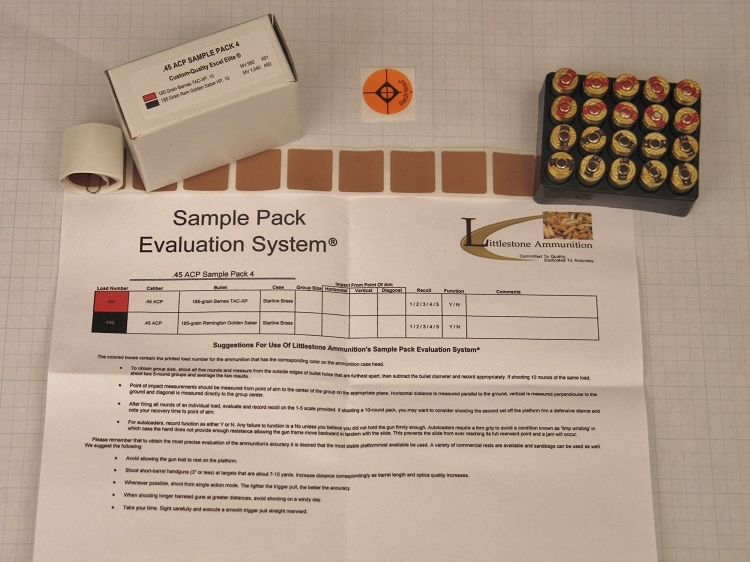 This is a 20-round sample pack of two bullets:. Ten rounds loaded with 165-grain Remington Golden Saber Hollow Points: The Golden Saber is Remington?s offering for law enforcement and personal defense use. This hollow point bullet has some unusual features Remington suggests produce superior performance. Unlike most jacketed bullets in which the jacket is a copper alloy, the Golden Saber jacket is pure brass, which is said to release energy over a longer distance while mushrooming. Additionally, the skives on the hollow point jacket are cut in a spiral rather than straight down, said by Remington to allow mushrooming at a lower velocity. Additionally, this bullet offers match-type accuracy and deep penetration, while providing maximum penetration and nearly 100% weight retention. Starline brass cases. Ten rounds loaded with 165-grain Speer Gold Dot Hollow Points, five each: Gold Dot hollow points are manufactured in three basic steps. First the core receives the bonded jacket; next an oversize hollow point cavity is installed with predetermined expansion folds; and lastly the final cavity shape and volume are set for the optimum performance for the cartridge and intended use. Gold Dots were the industry?s first truly bonded bullet, and the bonded construction provides exceptional weight retention to promotes penetration. Starline brass cases.